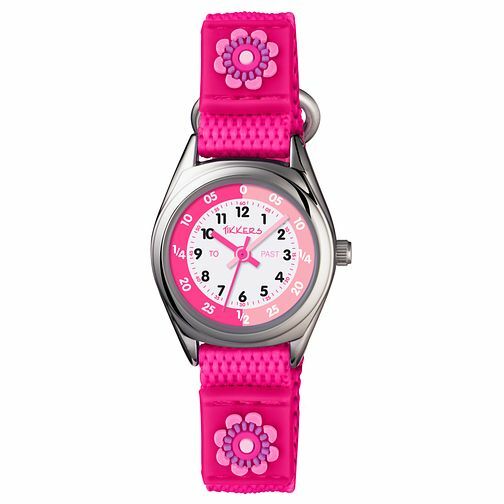 This pink velcro strap children's watch features a stainless steel case, round dial with colourful hour markers and helpful hints and pointers for young learners. A fun children's watch for everyday wear and everyday learning. Tikkers Children's Pink Velcro Strap Watch is rated 5.0 out of 5 by 5. Rated 5 out of 5 by Anonymous from Good quality childrens watch for a competitive price Wanted a first watch for our granddaughter. This watch appeared suitable. The ordering, delivery and quality of the goods were excellent.